Email has become one of the most powerful channels to reach consumers. It has the highest rate of return among digital marketing channels. It’s also the channel that consumers prefer the most for brand communications. Emails are no longer solely text-based. With the use of HTML and CSS, they can have colors, buttons, images, and more. Today, email marketing is more powerful than ever and is the most effective platform for brands to distribute middle and bottom of the funnel content. Your subscribers represent individual people – people with different needs, wants, and expectations. By providing different subscription options, potential subscribers will feel more in control of the emails they’ll receive and therefore are more likely to sign up. 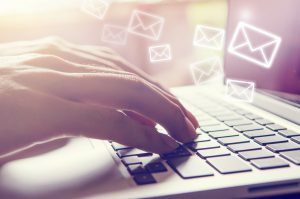 One way to provide subscribers with relevant content and inspire potential subscribers to sign up for your emails is by offering several content options. For example, if someone only wants to receive communications about email design techniques, but not email marketing strategies, give them the option to subscribe to a niche newsletter that focuses on their interests. Don’t make your subscribers wait for your next newsletter or campaign after they opt-in. Onboard your subscribers or send them a welcome email thanking them for subscribing and include some of your best evergreen content. By immediately demonstrating the value of your emails, you’ll get your subscribers excited for future sends. When writing your email copy, put yourself in your subscribers’ shoes and ask, “What’s in it for me?” Don’t focus on your wants and needs, focus on theirs. Before your subscribers can read the content in your email, they must first make the decision to open the campaign. This decision to open takes place in the inbox, where the subscriber will frequently see a few key pieces of influential information – you’re from the name, subject line, and (sometimes) preview text. Your subscribers crave education and motivation. But producing great content is hard and time-consuming. Look to others in your industry for helpful, actionable content and curate those articles in your emails. You’ll be sharing great content, building trust with your subscribers and its minimal work for you. Plus, sharing content with your partners can help strengthen those relationships. Utilize your brand partnerships to expand your content’s reach. Work with others in the industry on content initiatives, like webinars, eBooks, and blog posts. Then, when it’s time for the campaign, you can both leverage your email subscribers to reach a superior audience. Send great content that your subscribers will want to share. Use your current subscribers as an avenue to reach new ones. By encouraging your subscribers to forward and share your emails, you’re, meaningfully expanding the reach of your content and increasing the possibility of additional subscribers. If it’s not measurable, it’s not worth doing, and even email isn’t an exception to that rule. There are plenty of different analytics that you can measure with email distribution platforms that will give you insights as to the health of your database. When it comes to measuring the efficiency of your content via email as a distribution channel, the three key metrics you should keep an eye on include: Click through Rate (CTR),Open Rate and Unsubscribes. Email is the perfect medium to distribute your content initiatives. Since email is a permission-based marketing channel, those signing up to receive your emails explicitly request more information. Your campaigns on your valuable content can help them do just that. If you’re segmenting efficiently when distributing content and executing campaigns, your content will be far more successful in moving your leads through the buyer’s journey.